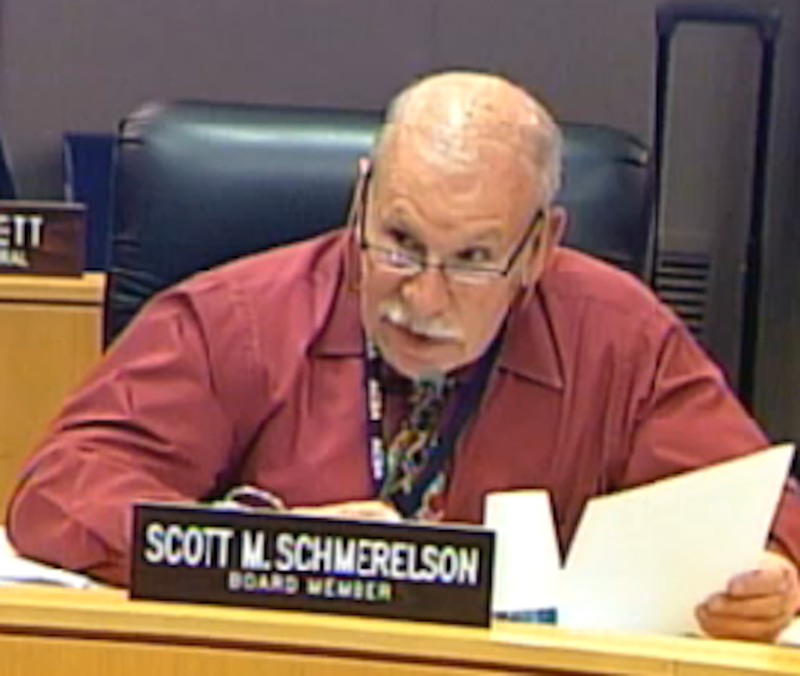 Scott Schmerelson has revised his LA Unified board resolution that attacks an outside group’s plan to expand the number of charter schools in the district. A majority of the seven board members has expressed opposition to the plan. But a shift in mission from the group — Great Public Schools Now, supported by the Broad Foundation and others — combined with the changed language in the resolution, suggests it might be more difficult for him to achieve a 7-0 vote from a board that includes several members supportive of charter schools. The resolution will be voted on at the Dec. 8 board meeting. It is largely symbolic because state law provides school boards only a limited ability to deny legitimate charter applications. But officials of Great Public Schools Now say they have revised their plan to include investing in some traditional district schools, including pilots, magnets and other high-performing schools with large numbers of children receiving free and reduced-price lunch. While those schools do not represent the entirety of LA Unified, the inclusion of them suggests that Great Public Schools Now is seeking to reduce opposition to the plan by addressing at least one major concern of the board, that the initiative would ignore children in regular district schools. The list includes such familiar issues as improving student achievement, helping young children overcome the impact of poverty, funding for the arts, assuring student safety and improving student attendance. At the very least, passage of the revised resolution would put down a marker down to Greater Public Schools Now, forcing the group to make good on its word to do more for traditional schools if the effort proceeds. At the same time, the new language, nuanced as it may be, could make it easier for the three board members sympathetic to charters — Ref Rodriguez, Mónica García and Richard Vladovic — to vote against it without drawing condemnation from the teachers union, UTLA, which is perhaps the charter expansion group’s staunchest adversary.